People generally love to go to the spa. The dentist? Not so much. Lying under the glare of bright lights, getting injections in your mouth, and opening wide while someone drills -- it's just not our idea of a good time. In fact, millions of people suffer from dental anxiety that is so strong they avoid going to the dentist altogether. 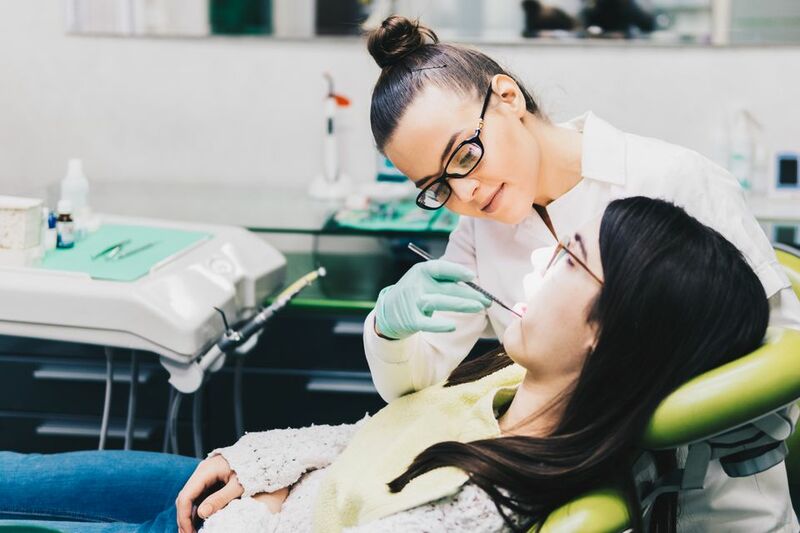 To help patients overcome that fear, more dentists are borrowing some of the spa amenities that signal relaxation -- relaxing music, waterfalls, calming blankets -- to create new, more positive associations. In a few cases, they are even borrowing the name -- dental spa! One dental spa innovator is Dr. Amy Marckese-Braun, who opened Dental Spa Indianapolis in 2004 to create an "anxiety-free dental practice." She has done more than any other dentist, offering complimentary massage for hands, feet, head, or neck, and paraffin wax hand treatments at no additional cost. Her dental suites are decorated with waterfalls and aromatherapy candles, and patients in the chair can cozy up with a blanket -- a comforting, caring touch that any dentist can easily offer. Juice, coffee, tea and bottled water are on hand, and after your treatment, a rewarding milkshake or smoothie. Most dental spas aren't that elaborate but instead offer a few comforting amenities. The Dental Spa of New York helps you relax with freshly baked bread and cookies, a flat-screen TV, and massage chairs in the reception area, and a cappuccino, tea, and juice bar. In the treatment room, blankets and pillows, warm lemon-scented towels & music headphones all bring you comfort, and the staff tries to make you as comfortable as can be throughout your visit. The Dental Spa of Virginia appeals to the five senses (sight, smell, sound, taste, and touch) with the calming sight of a waterfall, relaxing colors, scented candles, and serene music. Its lobbies have refreshment bars stocked with tea, coffee, and fruit. And its chairs are equipped with massagers to relax you completely. In other cases, dentists are adding services that are traditionally found at a medical spa, particularly injectables and fillers like Botox, Dysport, Restylane, Juvederm, and Perlane. Since dentists already give a lot of injections, it's not much of a stretch to add these to a practice. There are even applications that are directly related to your smile, such as using Botox to stop the "gummy" smile. Rozenberg Dental Day Spa in Manhattan has a spa-like atmosphere, with fresh flowers, soft dim lights, and gently flickering candles. Patients get heated neck wraps infused with eucalyptus and cinnamon and hot tea. A massage pad is on every exam chair, and you can have calming herbal eyelid compresses to go over your eyes while you're in the dental chair. In the early days, there was some experimentation with offering traditional massage and facials alongside dental services. But the dentists who tried it found that people would rather go to a real spa to relax. Dental spas usually involve spa-like amenities and a more relaxing atmosphere than the usual dental office. If you have dental anxiety that keeps you from going to the dentist, this is probably a good choice for you. Some dentists are using the personal comfort and service concepts of dental spas without calling it a dental spa. The skill and reputation of the dentist are most important, so try to get references.